This was such a gripping read. The pace is quite slow, so slow that the whole story is pretty much a few days long, but I found it oddly compelling. A family gathers in Paris for a celebration as the Seine is threatening to burst its banks. The father of the family suffers a stroke and the mother is felled by the flu. The son and daughter try to pull everything together – but each family member has secrets from the others, secrets that are at the very deepest parts of their souls and their identities. These secrets are all revealed over time – mostly through flashback – and they are both incredible and some are horrible. It makes you wonder: what makes us human? What shapes us for whom we become? What does it mean to be a family? A great book club read! I love a book that includes redemption and acceptance. Thank you so much for my review e-copy via Net Galley! Continuing my fascination of “the woman behind the man”, I found BECOMING JOSEPHINE on sale for my kindle a while back. 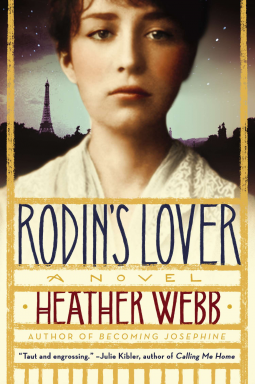 I loved Heather Webb’s RODIN’S LOVER (review here) and was excited to read her debut novel. So — I have to admit that beyond knowing that Josephine was married to Napolean, and that he loved her deeply, I knew nothing about her. What a fascinating woman! She lived in very turbulent times and she endured a major amount of hardships and trials, including slave revolts, imprisonment during the Revolution, assassination attempts, and a horrible accident where her balcony gave way with her on it. Ms. Webb states a reminder that this is historical fiction, but most of the events of the story are true. What fascinated me most is how determined and resourceful Josephine was (she was also intelligent and self-centered). She would do what she needed to do in order to benefit herself and her children. I was also surprised at the amount of lovers she took. It felt like Tudor reading with all the bed hopping going on! Josephine used her relationships, though, to survive and to support herself. Interesting reading, especially if you have never read much about Josephine in the past. I found myself looking up more information online. You can find this book online or at a bookstore or library near you. When I was at BEA in the spring, I stood in a very long line (I was number 3 though!) 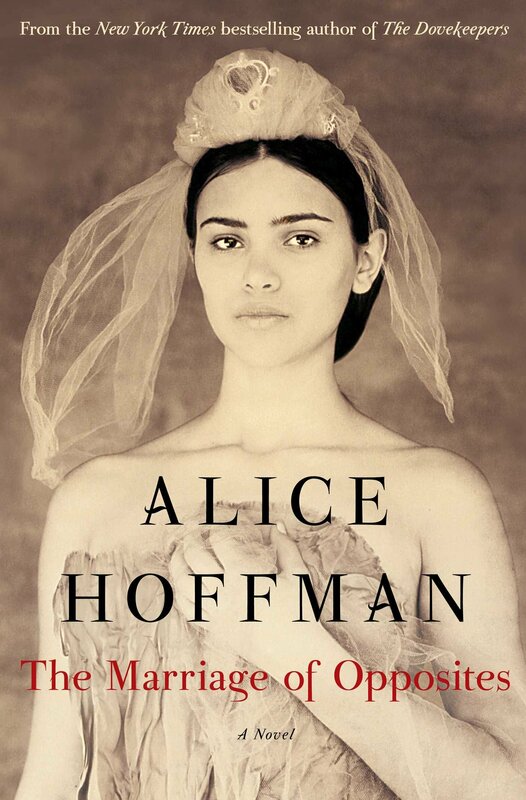 to see Alice Hoffman and to get her new book, The Marriage of Opposites. First, I must say that Ms. Hoffman is one of my fave authors. I think I’ve read everything she’s written. She is quite gracious in person and was a delight in our albeit very brief meeting (where I tried not to gush). I was later interviewed by Simon and Schuster for something on camera, gushing about how much I love her writing (thankfully I have never found that video clip online, as I’m sure I’d be horrified at my lack of composure and disheveled appearance, being interviewed on the fly during a huge event in NYC). Anyway – I digress. 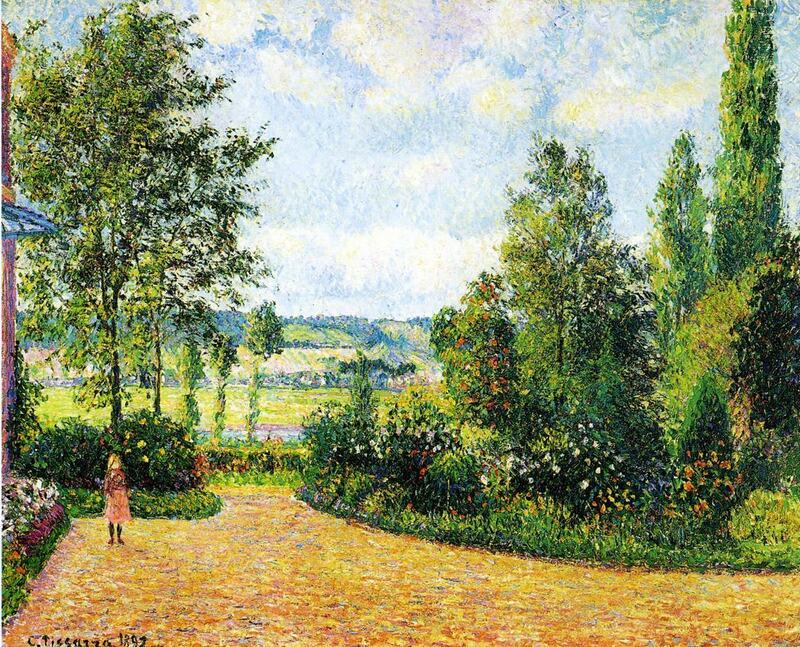 This story is about the parents of Camille Pissarro, the great French painter. I have to say that I knew absolutely nothing about his background, and while I am sure that he is fascinating in his own right, Hoffman’s story focuses on his mother, Rachel, and her life as she grows up among a community of refugee European Jews, who are living in the Virgin Islands during the early 1800’s. Rachel is married off to an old widower while she is quite young, and she comes to love his children and to respect him. When he dies suddenly, his younger nephew arrives to take over the business. He and Rachel fall deeply in love – even though she is substantially older and their union is forbidden as they are seen as “family”. Out of their relationship comes Camille. I loved this story — the characters, the setting, the writing. Rachel’s story was fascinating to me and I loved the subplots and “supporting characters” with their stories along the way. We are shouting it out today for Marci Jefferson’s new novel: ENCHANTRESS OF PARIS! For more information visit Marci Jefferson’s website. You can also find her on Facebook,Twitter, Pinterest, and Goodreads. I love Elizabeth Berg’s writing. I’ve read just about all her books (JOY SCHOOL, DREAM WHEN YOU’RE FEELING BLUE, HOME SAFE, THE YEAR OF PLEASURES, DURABLE GOODS, and more). She’s a fantastic writer, so I was quite excited when I saw she had written a new novel: a historical biography of the author George Sands. Told in differing points in time, this novel traces George Sand’s life from her parents’ courtship to her rise as a respected author. However, most of the focus is on her love life – who she is in love with and what happens between them. And I should mention that George Sand had a lot of loves in her life. Jumping through time, we find George (whose real name was Aurore) struggling to be a writer, George meeting her husband, George as a young girl, George and her lovers, George and her children, etc. until the story lines converge and the plot moves forward towards the end of the book. I struggled to keep the chronology intact while I read. To be honest, I found the parts about her childhood and her family quite interesting. I found her laundry list of lovers rather boring. A large part of this novel is George hopping in and out of bed with just about anyone who catches her eye. For 368 pages, that was a lot of hopping. At the end of this novel, which is beautifully written, I pondered the question: what was the author’s purpose here? I think I was expecting a biography. 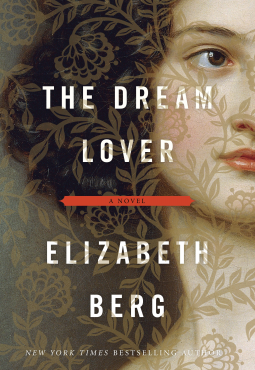 But the title really says it all, when you think about it: “The Dream Lover”. George Sand was constantly seeking to feel love and to be loved, in part because that was when her creativity blossomed. She couldn’t write when she felt stagnant. Loving and being loved opened her up to the creative spark that lived within her. She was a genius, and she struggled against the mores that held her, as a woman, firmly in place and stifled her. Constantly seeking for the perfect love brought George into her creative realm and made her the author she was. Interesting – well-written – but one you may need to stick with until the end, I found THE DREAM LOVER an intriguing read. Thank you, Net Galley and Random House, for my copy! I knew the name sounded familiar (and French) but I didn’t know much about her. Camille Claudel was a gifted sculptor and the mistress of Auguste Rodin, living in Paris at the turn of the 20th century. Heather Webb has taken her story and made it come vibrantly alive in her new historical novel: RODIN’S LOVER. Camille has loved creating from clay since she was a child. She loves the outdoors and her family’s estate in the French countryside. But Camille comes to realize that being a woman artist gives her little to no rights or privileges in 1800’s France, and she must work doubly hard to be recognized, let alone to be accepted, as an artist. Her creative nature is often overpowered by her intense and emotional personality (and as she matures, mental illness). However, her passionate and intense relationship with Rodin gives her an opportunity to showcase her work, as they each serve as muse for the other. I can hardly give this novel justice in my short blurb of it. Heather Webb skillfully and beautifully portrays Camille’s life so artfully (no pun intended) that I just couldn’t stop thinking about Camille once the book was over. I could picture her perfectly, I could feel her emotion, and at the end, when I knew the rest of her life’s sad story, I was haunted by her. Beautifully written, RODIN’S LOVER is a book that I will not soon forget. The cover is a photograph of the real Camille Claudel. Within the novel are pictures of her art that Ms. Webb had recreated by a former student who is an artist – thus I recommend a paper copy (mine did not show well on my kindle, however, I did have an ARC). I had the opportunity of hearing Ms. Webb speak about her book at the Concord Bookshop recently (read it here: https://drbethnolan.wordpress.com/2015/02/02/author-visit-at-the-concord-bookshop-heather-webb/) and I’m so glad I had the chance to read her novel. I highly recommend it! Thank you, Net Galley and Plume Books , for my review copy! Publishing on February 3 is a book that is destined to be one of my top picks for 2015. 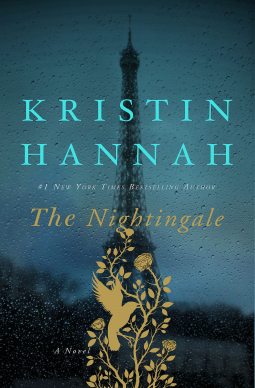 THE NIGHTINGALE is a story of two French sisters during WWII. Each sister does whatever she can to survive, and their story is both riveting and heart-breaking. I could not put this book down! Without giving away the whole story line, this novel basically follows two sisters throughout the occupation of France in WWII. One sister, Viann, has a young daughter and her husband is sent to fight. She is determined to keep their family home going and to keep her daughter safe until her husband returns. The other sister, Isabelle, has always been the black sheep. She is young and impetuous, but she is also strong and courageous. She joins the Resistance and works to bring downed allied airmen over the Pyrenees into Spain. The sisters clash and fight and are so completely different, yet at the same time they love each other and want to help each other. Each faces the horrible reality of the war with her own way of coping. I have to say that when I read this, I identified so strongly with Viann. When I was younger, I might have been more of an Isabelle, but Viann’s struggle to just get by and keep going and to protect her daughter at all costs — I could just imagine myself in her shoes. She was willing to suffer at great lengths as long as it meant that her daughter was safe. However, that doesn’t mean that she did nothing or just went along with the atrocities she was witnessing. One thing I loved about this book is that these characters were so multi-layered. There’s a whole back story involving their mother, which I won’t go in to, that had shaped them, as well as their relationship with their father in Paris. I truly loved these characters even though their story made me weep at times. If you like WWII novels, and especially if you enjoy reading about ordinary people doing extraordinary things, pick up a copy of THE NIGHTINGALE. This was my first Kristin Hannah book, but it won’t be my last! Thank you, Net Galley, for my ARC! Recently I received a copy of THE GIRL YOU LEFT BEHIND as a gift. I had heard of Jo Jo Moyes, but never read her books before. This was a riveting and touching story, part current day/part historical fiction, centering around the portrait of a young woman from WWI. In 1917 France, Sophie LeFevre is trying to keep her family’s inn going while the German occupation occurs. Her artist husband Edouard is gone to fight at the front, leaving Sophie, her sister, and her younger brother alone. Sophie and her sister must feed the German soldiers each night, and one evening the Commandant expresses an interest in the portrait of Sophie that her husband has painted. As time passes, Sophie becomes desperate to learn of her husband’s well-being, and risks everything she has to save him. Meanwhile, in current day London, Liv Halston is now the owner of Sophie’s portrait. She is grieving the untimely death of her young husband, and the picture was a gift from him. However, the LeFevre family is looking for the portrait and want it returned. Classed as stolen during the war, they feel entitled to have it returned, while Liv is sure that not only did they obtained it legally, but that she has a connection to Sophie the others don’t. Thus begins a battle over the rightful ownership of the picture of “The Girl You Left Behind”. By the end, Sophie’s story is told and Liv’s story has unfolded and taken a new direction. I really enjoyed this story! I love historical fiction, and having it interspersed with modern day was an effective way to tell the story. It has some mystery, some history, and some romance. I’ve never read other books by Ms. Moyes, but I will look for more. I recently received some books to review from UMP (University of Minnesota Press) Marketing and two were by Mary Casanova (author of FROZEN, another great book I reviewed here: https://drbethnolan.wordpress.com/2012/08/30/quick-review-frozen-by-mary-casanova-releasing-9-7-12/). RIOT, which is based on true events, follows the story of Bryan Grant, a sixth-grader, whose father gets involved in some violent occurrences when non-union workers are brought in to work at his father’s work, leaving his dad unemployed. Bryan befriends a young girl in his class, but then discovers that her father is one of the non-union “rats”. Meanwhile, tensions escalate and violence breaks out. Ultimately, Bryan needs to decide if he will do the right thing. Casanova does a great job, as always, in creating realistic characters and situations. Bryan is a likable and sympathetic character, and one ends the book asking, “What would I do?” I think this would be a great choice for a classroom discussion, and it would also engage reluctant readers. The other book by Casanova that I received was CURSE OF A WINTER MOON. This takes places in the 1500’s in France. Twelve-year-old Marius tries to protect his little brother who villagers are scared could be a werewolf (because he was born on Christmas Eve). There is a strong subtheme in this book of going against the establishment, and Marius’ father is accused of being a heretic as he reads the Bible and has sympathies for Martin Luther. There’s lots to discuss in this book, which can be read on several different levels. My ten-year-old is enjoying it now as an exciting adventure, but I would also use it with middle schoolers to discuss life in 1500’s Europe and the events leading to the Reformation. I have one more to read from Univ. of Minnesota Press, but thank you for sending me these two!